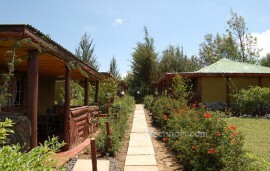 Falcon Heights Hotel is a niche boutique hotel that nestles in lush landscaped gardens in the bustling market town of Nanyuki. Nanyuki is the crossroads to many of East Africa’s most beautiful and wild areas, sitting as it does in the heart of the country right under Mount Kenya and on the equator. The hotel aims to bring a 5 star experience to its guests at a lower cost.The spacious rooms with tasteful interior decors, down to the most minute detail are intended to make the Falcon Heights Hotel guest experience the luxurious comfort of the finest home. When you visit the hotel you cannot miss to visit the beautiful attraction sites in the area. 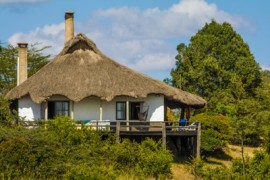 These sites are Mount Kenya National Park, Ol Pejeta Conservancy, Aberdare National Park, El Karama Game Reserve and Sweetwaters Game Reserve. 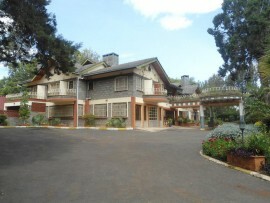 Falcon Heights hotel has 16 luxurious rooms and an executive 2 bedroom cottage. Features include spacious room and bathroom, LCD flat screen, Ip phone, Wi-Fi, hair dryer and shaving unit, plush lounge chairs with complementary coffee and tea service. 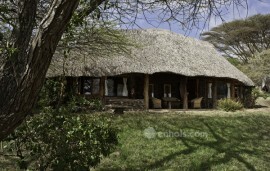 At all times the guests enjoy signature mouthwatering cuisine and warm Kenyan hospitality. Their meals are either served as buffet or a la carte. The meals prepared are local and international dishes. The hotel has a bar that is located next to the swimming pool and serves cool refreshing drinks. Falcon Heights hotel has an ultra modern conference hall that can hold 50 to 500 guests. They offer the necessary facilities for conferences and meetings.